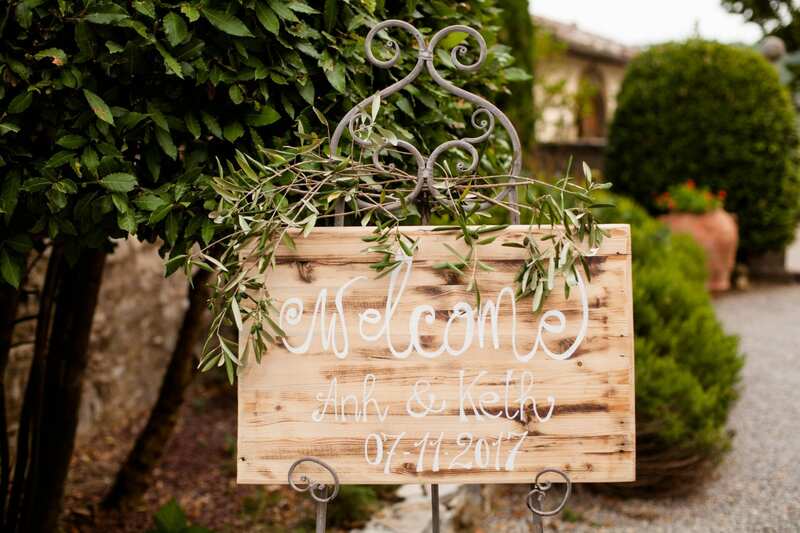 Keith & Ahn dreamed of a destination wedding in the Tuscan countryside. 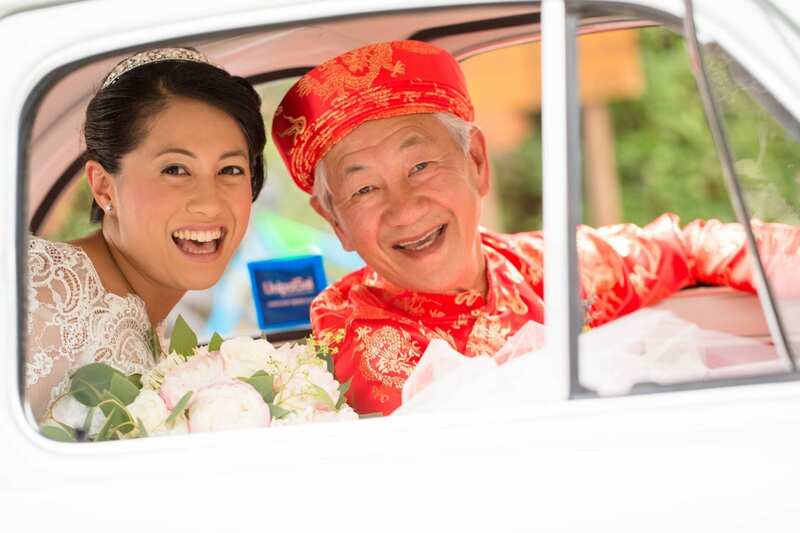 He is Scottish, she is Dutch of Vietnamese origins - they wished to share the most beautiful day of their lives with the loved ones coming from all over the world. 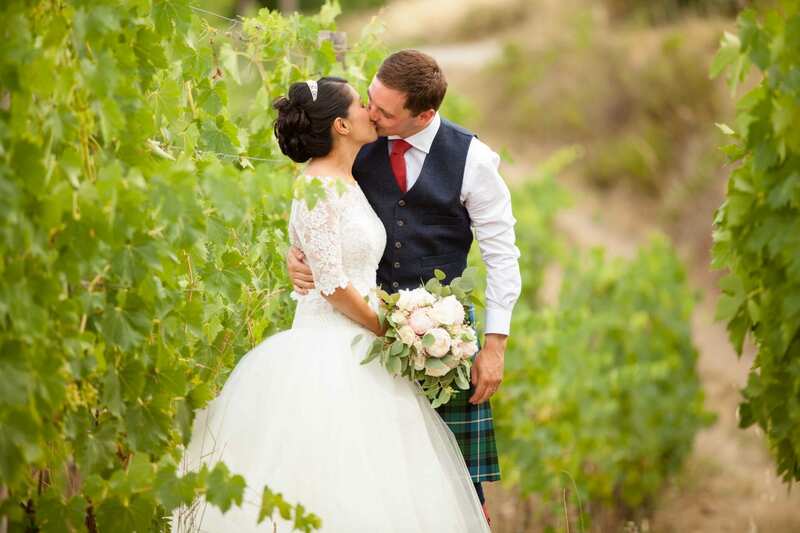 This lovely couple chose to set their fairytale in the Meleto Castle, beautiful medieval village in the heart of Chiantishire. This was a perfect venue to set up the 3-day event. In fact, we organized a barbecue by the pool as welcome dinner, while the second day was the wedding day. 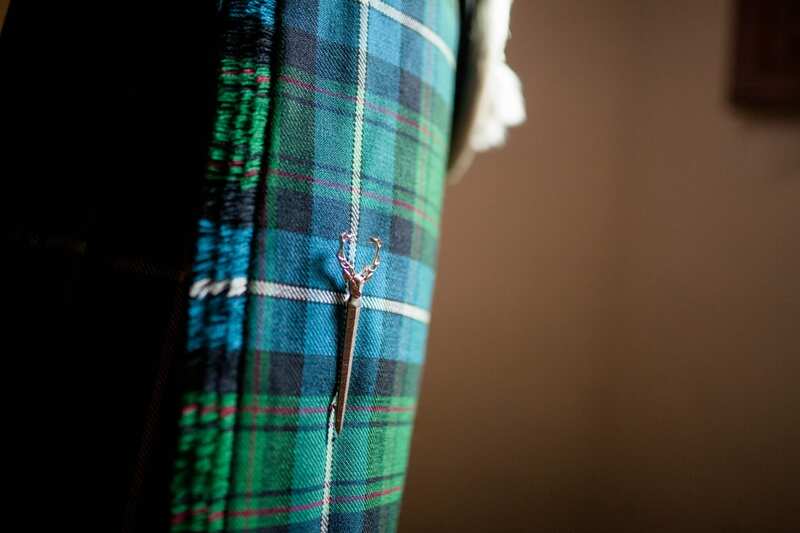 Keith and his best men chose to follow their traditions, so they wore the typical kilt. Radda in Chianti - a characteristic village near the Castle - hosted the civil ceremony, concelebrated by a dear friend of the couple. Outside the town hall, a bagpiper greeted them playing Scottish songs. 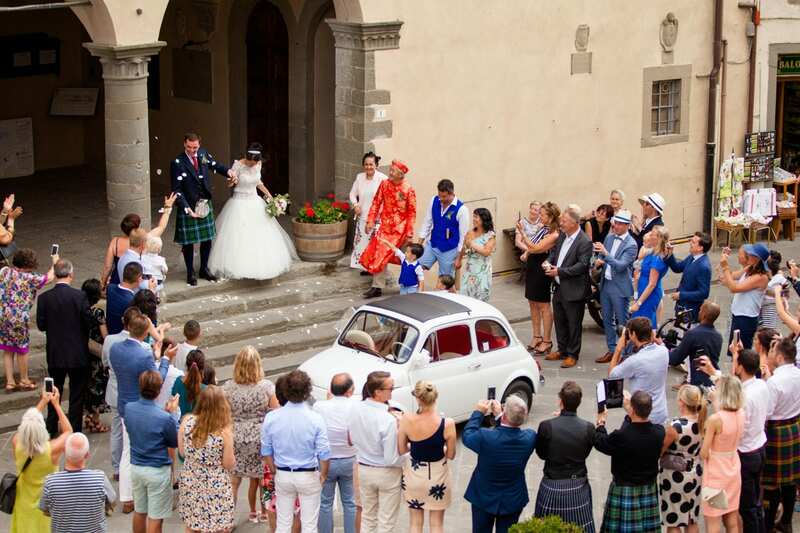 After the exchange of good wishes, the newlyweds jumped on a vintage Fiat 500 and left for the photo shoot, while the guests returned to the Castle for an aperitif to the rhythm of jazz. 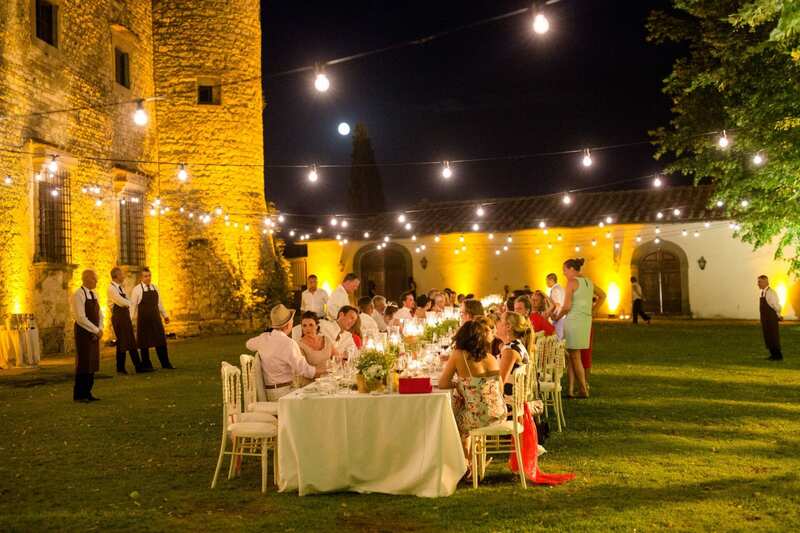 The traditional Italian dinner was set up with an elegant imperial table in the front garden, while the party was held in the stables. Ahn's mother, who is a talented cook, prepared Vietnamese street food to offer a tasty goodnight to the guests. The settings were simple, but very refined, with a typically Tuscan taste. A delicate palette made up of white, ivory, blush pink and lots of green combined with olive branches and lemons. Other decorative elements were the wooden signs with the direction of event moments written on, including the amusing photo booth set up in the small theatre of the Castle. On the last evening, the couple wanted to greet their guests with a pizza party organized in the picnic area. 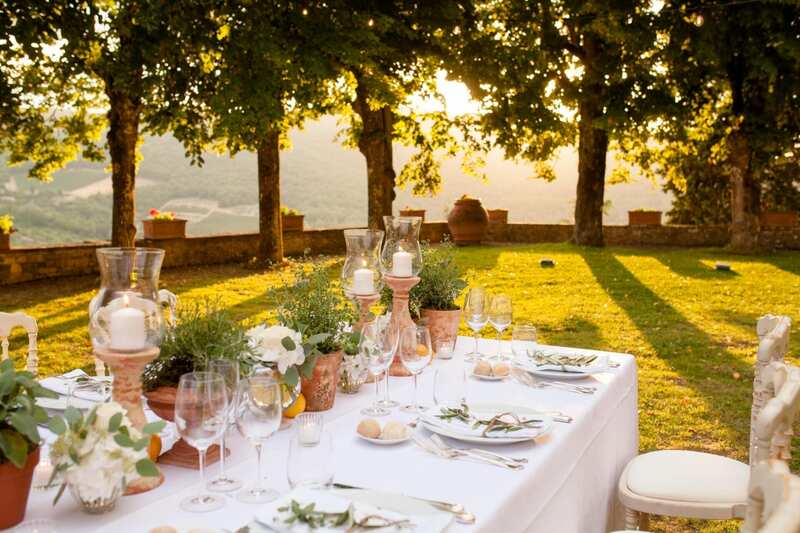 Everybody left Italy with a sweet memory of this intimate three-day destination wedding.